Is anyone else getting Nudie Patootie or even Soft Glam vibes right now?? Kylie Cosmetics is launching her new Sorta Sweet Collection on Thursday, 6.28! 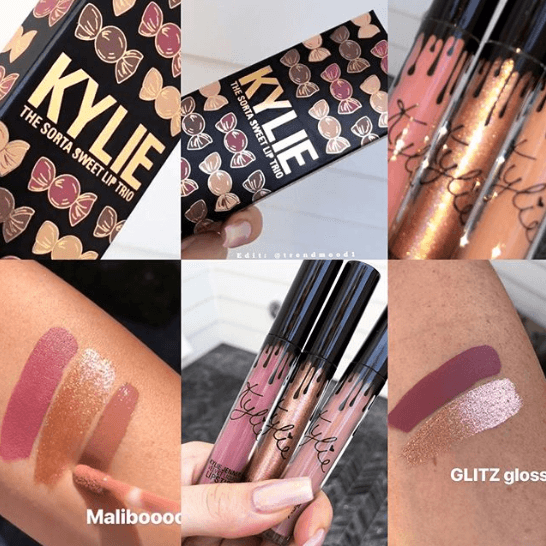 This collection seems to be pretty standard for Kylie; it comes with the Sorta Sweet Eyeshadow Palette and a Lip Trio with shades Maliboo, Glitz Gloss & Boy Bye. The exact pricing hasn’t been released yet but her tip trios tend to be between $45-50, and her eyeshadow palettes of similar size are between $38-$42. We are loving all of the vibes of this palette! It’s mostly matte shades which is something to take note of but I think definitely works with the overall balance of the palette. The shimmer shades are absolutely perfect and complement the mattes perfectly! Also, the whole aesthetic of the matte black palette is sleek AF! I love the look of the pans against the black background – something about it just looks super classy. 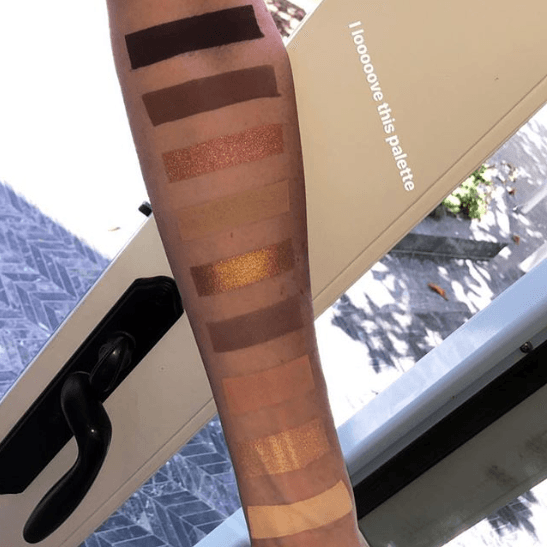 However, like we mentioned, this does definitely seem to emulate some other palettes that have launched fairly recently like the Laura Lee Nudie Patootie Palette and even the ABH Soft Glam palette a bit. We aren’t mad! 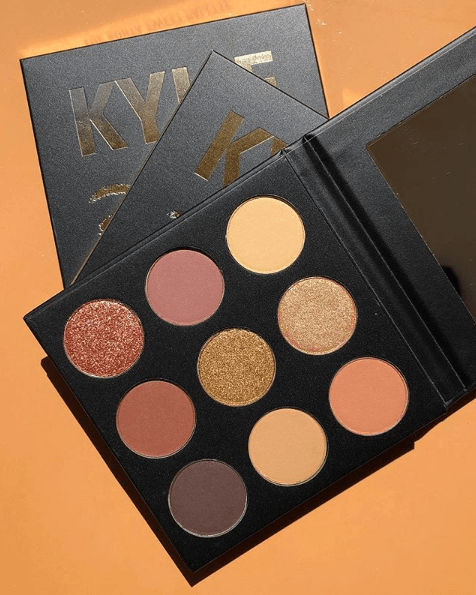 You’ll just need to decide if you need this one if you already have one of those or if this one is the best option for the soft, sultry palette of the year!